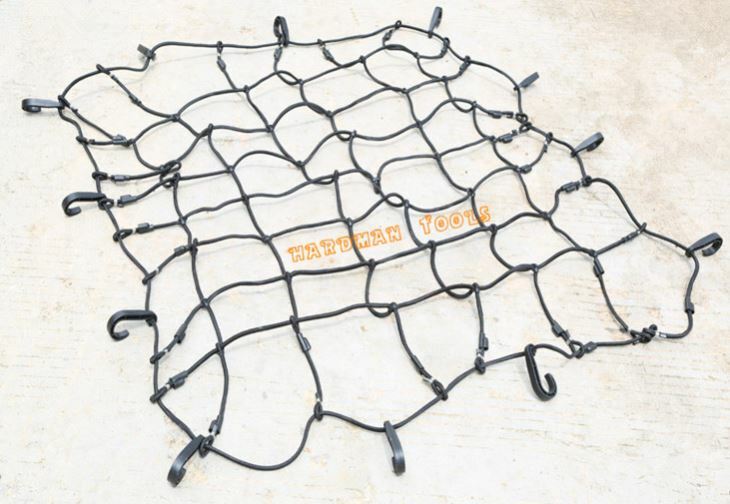 UNIVERSAL MESH CARGO NET: 48" x 36" cargo net with strong stretches to approx 72" x 54" perfect for superb securing items in UTVs, Cars, SUVs, and Boats. 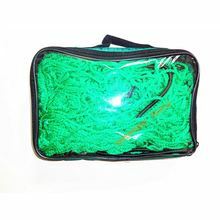 DURABLE NET: Tight 6" X 6" grid pattern keeps even smaller-sized items secure during travel, and it is made of high-quality thick 8mm bungee material rubber cord, so it is very tough, durable. 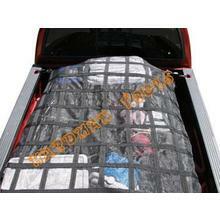 ELASTIC ROOF RACK NET: Strong scalability makes it overcome the sagging problem without scalability. UNIVERSAL MESH CARGO NET: 48" x 36" cargo net with strong stretches to approx 72" x 54" perfect for superb securing items in UTVs, Cars, SUVs, and Boats. 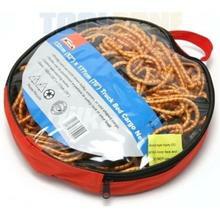 DURABLE NET: Tight 6" X 6" grid pattern keeps even smaller-sized items secure during travel, and it is made of high-quality thick 8mm bungee material rubber cord, so it is very tough, durable. 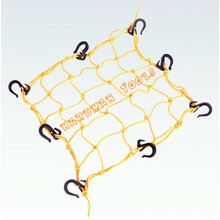 ELASTIC ROOF RACK NET: Strong scalability makes it overcome the sagging problem without scalability. 12 HOOKS:Pack of 12 Durable ABS plastic adjustable hooks for maximum versatility to fit existing car and luggage rack attachment points. EASY TO INSTALL:This cargo net features sub-hooks for quick tightening adjustments, great for managing and organizing loose, bulky or awkwardly shaped cargo.